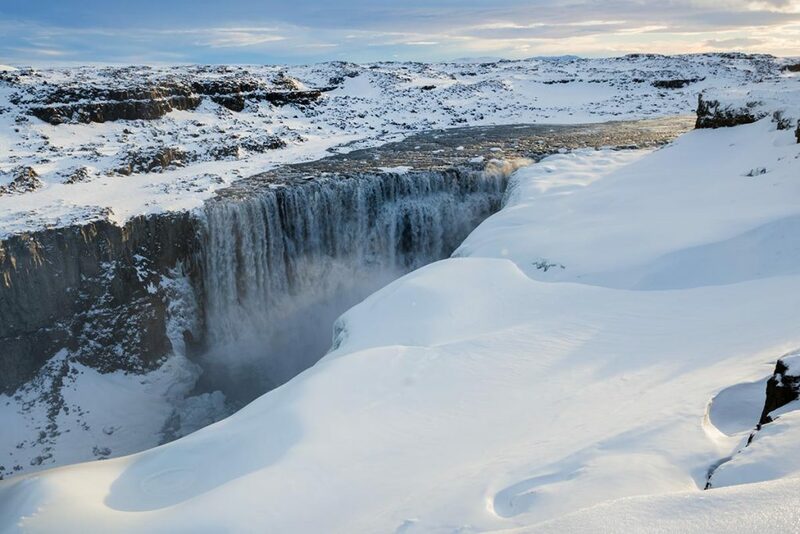 Dettifoss is the most powerful waterfall in Europe. 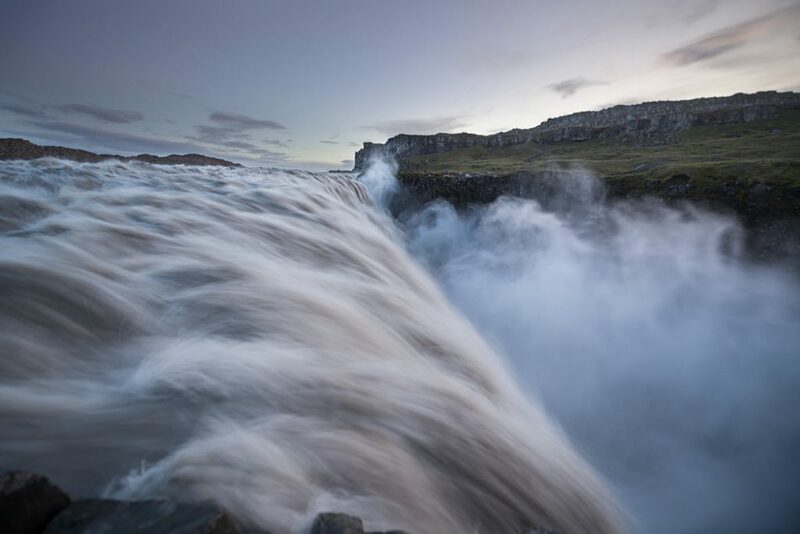 A mass of water hurtles into the abyss and take everything with. 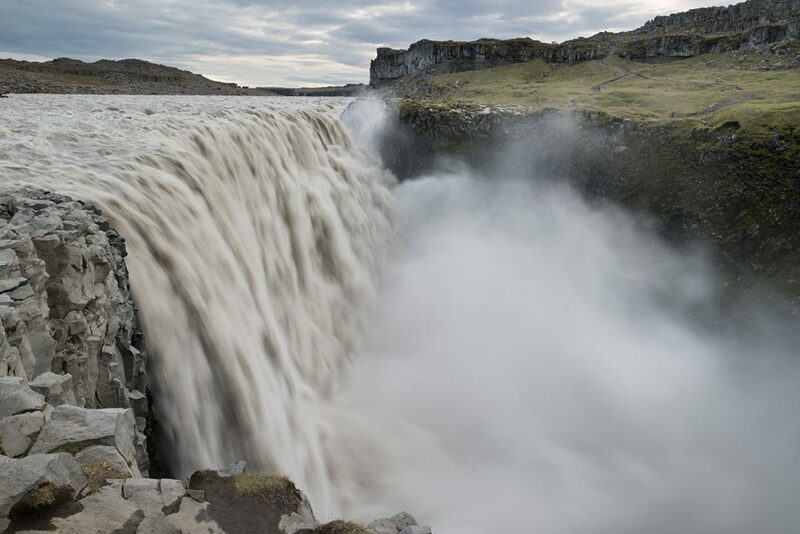 It is 100 meters (328 ft) wide, just 45 meters (150 ft) heigh, dark grey flow of energy. 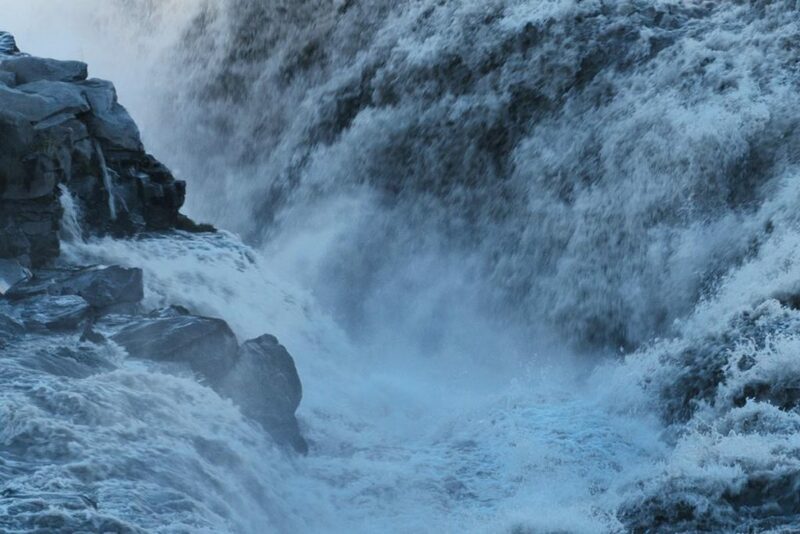 You can enjoy this waterfall from both sides of the river Jökulsá á Fjöllum. Both views are enigmatic. If you come from the west bank (as the majority of you will), then you´ll see it from the front. Due to the prevailing wind direction, it is this side where the majority of the crashing spray goes. East bank can offer you something totally special. Here you can come so dangerously ‘inches close’ to the falling water, so be really cautious. 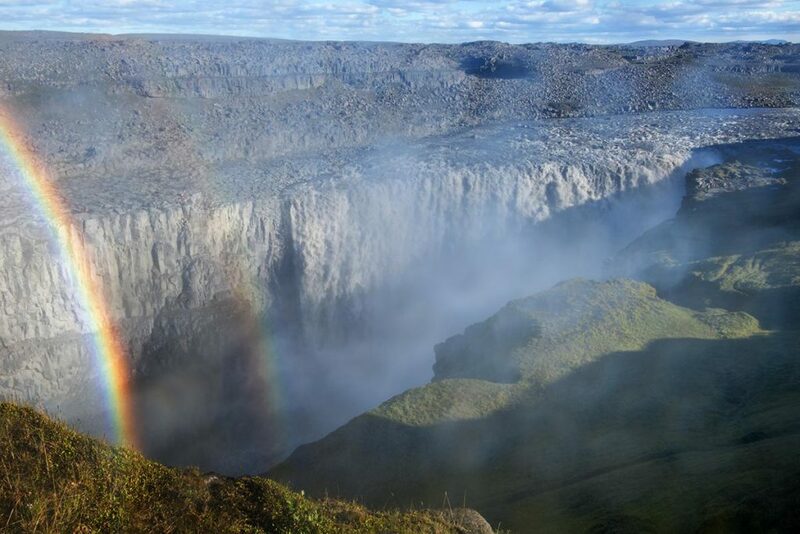 As I already mentioned, you can come to Dettifoss from two different sides of the Jökulsá á Fjöllum river. The more popular one and the only one passable during the winter time is the road nr. 862 from Ring Road. 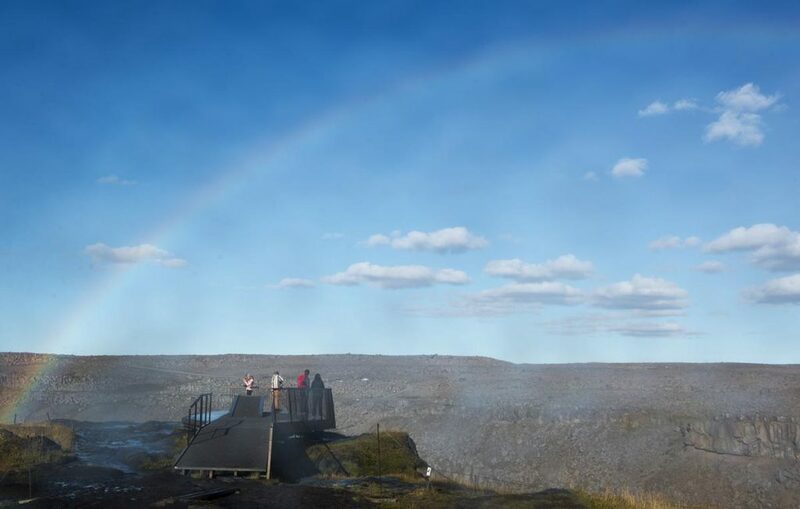 During the summer, you can come here from the North (from Ásbyrgi) as well, but during the winter months, this part of the road is not maintained in Winter. Park your park at this parking lot and from there, you have to walk to the waterfall. Another options is to take the road nr. 864. That is a gravel road full of potholes. There is no winterservis here. 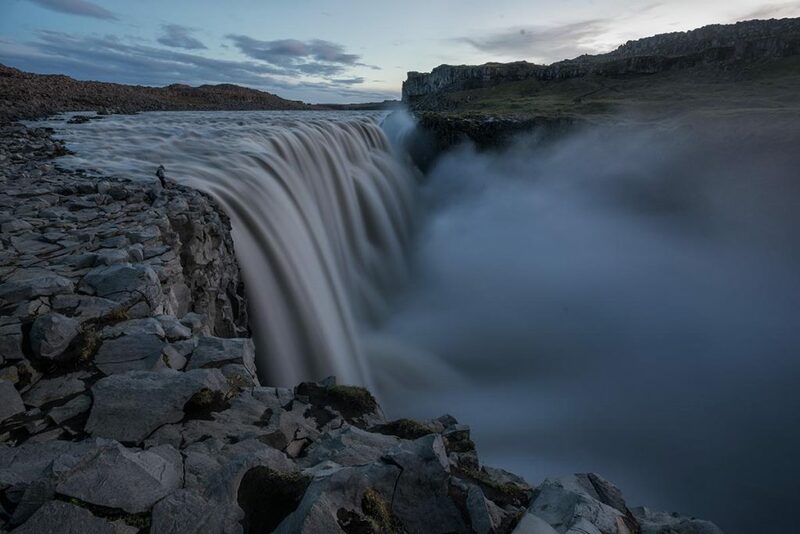 GPS coordinates of the Dettifoss waterfall: 65.814357, -16.384803 Take me there! 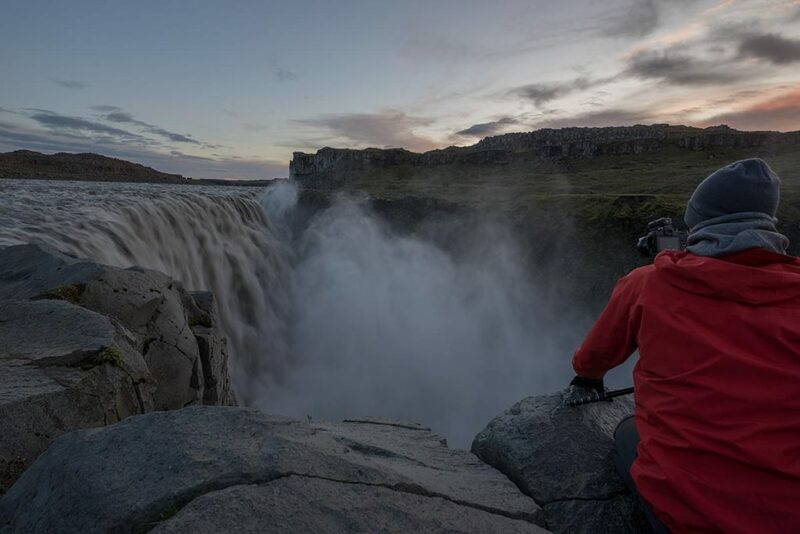 On the edge of the Dettifoss waterfall – East bank. So close you can literally touch it!